Do you feel overwhelmed by the destructive power of racism, but unsure of what to do about it? 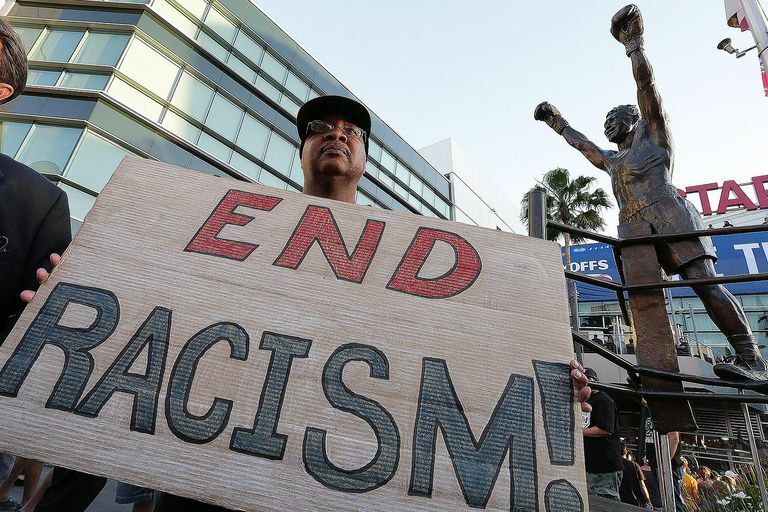 The good news is, while the scope of racism in the U.S. might be vast, progress is possible. Step-by-step and piece-by-piece, we can work to end racism, but to begin this work, we must truly understand what racism is. First, we'll briefly review how sociologists define racism, then we'll consider ways that each of us can work to end it. To end racism, we must combat it everywhere it lives and thrives. We must confront it in ourselves, in our communities, and in our nation. No one person can do it all or do it alone, but we can all do things to help, and in doing so, work collectively to end racism. This brief guide will help get you started. These actions are mostly for white people, but not exclusively. 1. Listen to, validate, and ally with people who report personal and systemic racism. Most people of color report that whites do not take claims of racism seriously. It’s time to stop defending the idea of a post-racial society, and recognize instead that we live in a racist one. Listen to and trust those who report racism, because anti-racism begins with basic respect for all people. 3. Be mindful of the commonalities that humans share, and practice empathy. Do not fixate on difference, though it is important to be aware of it and the implications of it, particularly as regards power and privilege. Remember that if any kind of injustice is allowed to thrive in our society, all forms can. We owe it to each other to fight for an equal and just society for all. 4. If you see something, say something. Step in when you see racism occurring, and disrupt it in a safe way. Have hard conversations with others when you hear or see racism, whether explicit or implicit. Challenge racist assumptions by asking about supporting facts and evidence (in general, they do not exist). Have conversations about what led you and/or others to have racist beliefs. 5. Cross the racial divide (and others) by offering friendly greetings to people, regardless of race, gender, age, sexuality, ability, class, or housing status. Think about who you make eye contact with, nod to, or say “Hello” to while you are out in the world. If you notice a pattern of preference and exclusion, shake it up. Respectful, friendly, everyday communication is the essence of community. 8. Advocate for Affirmative Action practices in education and employment. Countless studies have found that qualifications being equal, people of color are rejected for employment and admission to educational institutions far greater rates than white people. Affirmative Action initiatives help mediate this problem of racist exclusion. 9. Vote for candidates who make ending racism a priority; vote for candidates of color. In today's federal government, people of color remain disturbingly underrepresented. For a racially just democracy to exist, we must achieve accurate representation, and the governing of representatives must actually represent the experiences and concerns of our diverse populace. Keep in mind that you don't have to do all of these things in your fight against racism. What's important is that we all do at least something.